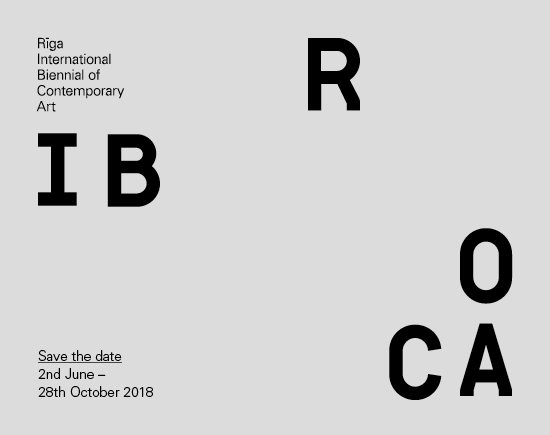 RIBOCA1 will open to the public in Riga, Latvia, on Saturday 2 June 2018, with a press preview and vernissage events from Thursday 31 May – Friday 1 June 2018. We invite you to save the date and would be delighted if you join us in Riga in 2018 for the first edition. A major initiative of the Riga Biennial Foundation, RIBOCA1 is set to pave the way for new opportunities for leading international and regional artists to engage with the rich cultural, historical and socio-political context of the city and its surrounds. Chief Curator Katerina Gregos and Associate Curator Solvej Ovesen are already in the process of selecting artists from the Baltic region as well as further afield to be included in RIBOCA1 next year. A significant proportion of works on display will be newly commissioned. The biennial will unfold in several locations throughout the city centre of Riga.